The bon odori dance practice sessions at each of the Buddhist temples teach the same dances that are performed at each of the Bon Odori festivals, so if you plan to attend the Bon Odori in Seattle, but the Tacoma or Auburn location is closer to you, you do not need to drive all the way to Seattle to practice. If you are unable to attend any of the bon odori dance practice sessions, you can still dance at Bon Odori! The dances are simple and repetitive, and you can have fun even if you don't know all the dance movements! If you would like to acquaint yourself with dance moves of some of the common bon odori dances, you can watch some videos. After fishing around the internet, I found some videos of dance practice for the Seattle Bon Odori, so these dances will likely be in the line-up! Some of the videos are hard to follow, but it at least give you a feel about what to expect. Happy practicing! Sorry, I can't find video for this one. This dance uses an instrument called naruko. They clack when you shake them lightly. 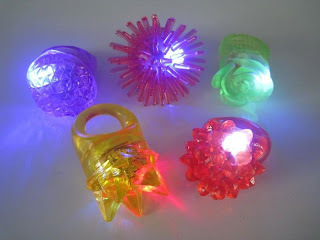 You can probably find them in party supply stores or where ever you can buy cheap flashy toys. 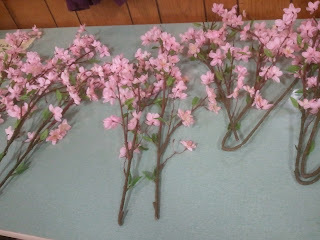 You can use any cherry blossom branch you can get in the fake flowers section of a craft store. The dancers at the dance practice had them in all different colors (even dark purple! 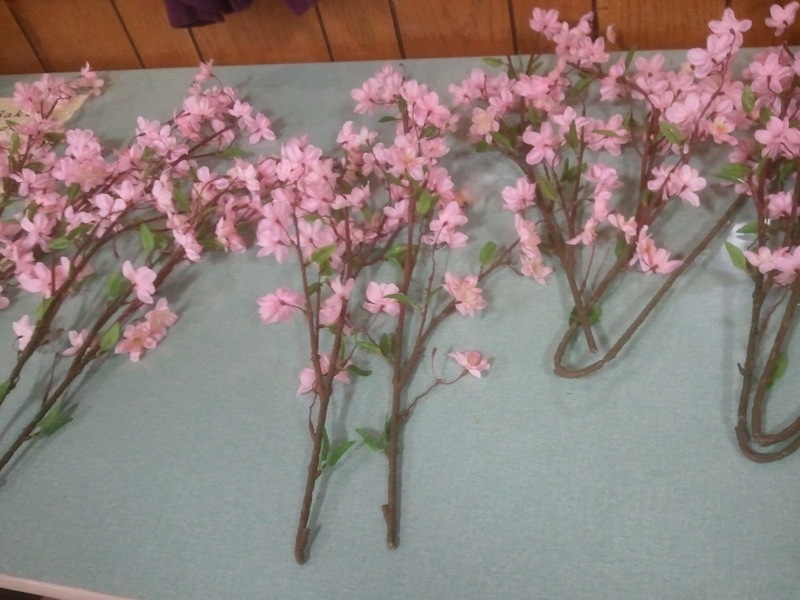 ), and some girls tied pretty ribbons on the stems or silver tinsel mixed in with the blossoms. You can also see a better video here with subtitled instructions. This is the easiest dance to do. Sorry, I can't find videos for this one. I can't find practice videos for this one, just this one video from the Seattle Festival that is hard to follow. This song typically uses straw hats covered in flowers, but may use sensu dance fans or uchiwa at our local bon odori. These weren't one the list of songs I was given, but there are videos of them practiced locally, so I've included them for reference. 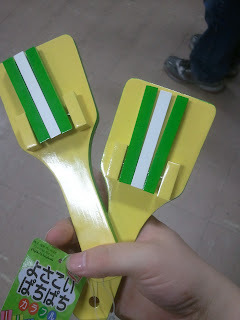 This is brand new this year, to honor Fukushima.